↑ Harvey, Samantha (April 11, 2007). "NASA: Solar System Exploration: Planets: Saturn: Moons: Mimas: Facts & Figures". NASA. สืบค้นเมื่อ 2007-10-10. ↑ Jacobson, R. A.; Spitale, J.; และคณะ (2005). 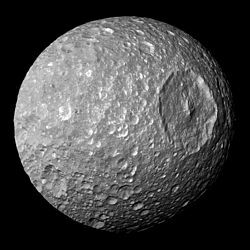 "The GM values of Mimas and Tethys and the libration of Methone". Astronomical Journal. 132 (2): 711. Bibcode:2006AJ....132..711J. doi:10.1086/505209. ↑ Observatorio ARVAL (April 15, 2007). "Classic Satellites of the Solar System". Observatorio ARVAL. สืบค้นเมื่อ 2011-12-17. 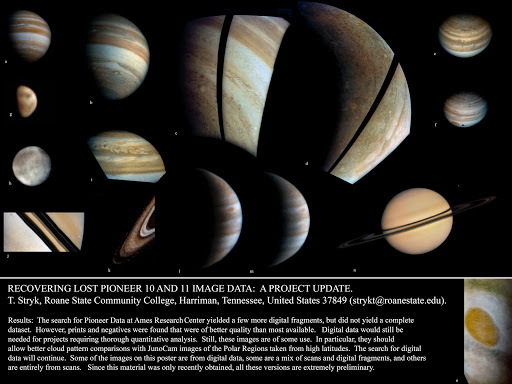 ↑ "Pioneer 11 Full Mission Timeline". Dmuller.net. สืบค้นเมื่อ 2012-02-26. หน้านี้แก้ไขล่าสุดเมื่อวันที่ 14 มิถุนายน 2560 เวลา 04:46 น.